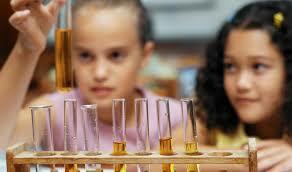 Science is the combination of several subjects including physics, chemistry, etc. In CBSE, science is one of the main subjects till class 10 and the subject comprise of physics, chemistry, and biology. It is extremely important for the students wishing to take PCM or PCMB in class 11 to have a strong base in science. The subject of science is very practical and interesting. Students who question the rationale of nature and surrounding can easily develop a deeper interest in the subject. It is important for the students to be motivated and learn science in a better way. In this article, some of the tips are given that can encourage the students to learn science and excel in the science concepts. For science topics, it is important to visualize them and understand the in-depth concepts thoroughly. For example, topics like Newton’s laws, Rutherford atomic model, etc. can be understood better if they are visualized. Drawing, animation, videos, etc. can help the students to visualize the concepts easily and help them to stay engaged and motivated. Informal competitions are a great way to enhance the motivation of the students and improve their performance in a fun way. Quizzes and other educational games can be conducted which not only improves the performance of the students but also helps them to develop a competitive spirit. It is extremely crucial for the educators to help the students relate the science concepts to the practical world. By relating practically, students tend to understand the concepts better and develop a deeper interest in the concepts. It is important for the educators to integrate technology tools into the learning process of the students. Tools like educational apps can improve the learning experience of the students to a great extent as they come integrated with adaptive technology and 3D animated video lessons. Thus, they make learning more personalized and engaging. Students can easily visualize any topic like Dalton's atomic theory, electrolysis, etc. These were a few ways in which students can be encouraged to learn science. Apart from these tips, it is important for the educators to discuss the scope of the subject and future career prospects with science. To know how technology-integrated learning can help students to learn more effectively, subscribe to BYJU’S YouTube channel and download the app from play store or app store.